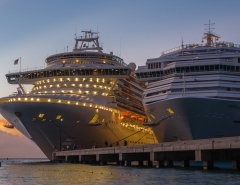 The demand for bigger, better and more exciting cruise ships is continuing as cruise lines outdo each other with every new class of vessel launched. 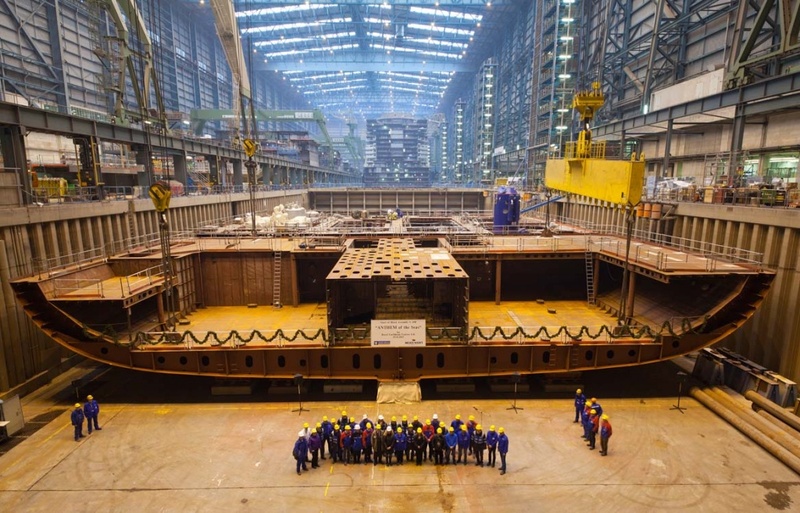 New mega-ships debut every year, and increased ship building competition is being felt from shipyards in China, Korea and other parts of Asia. 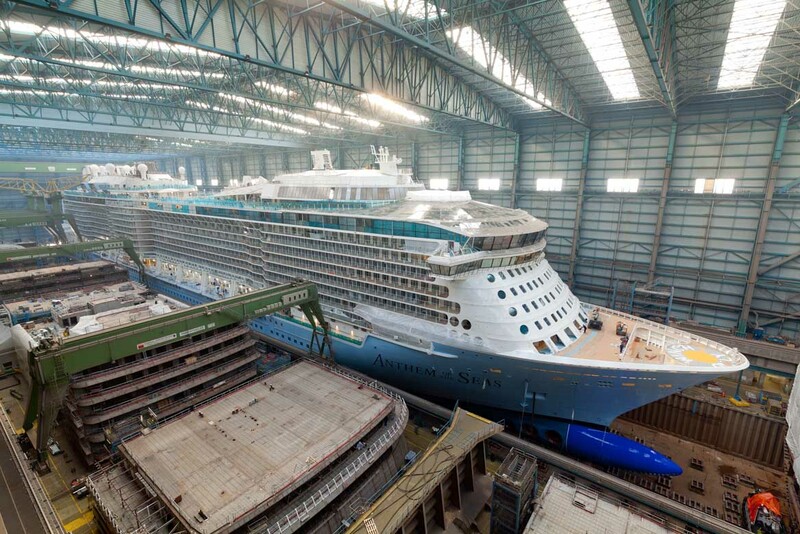 However, the European yards retain an advantage in shipbuilding and design that comes with generations of experience. 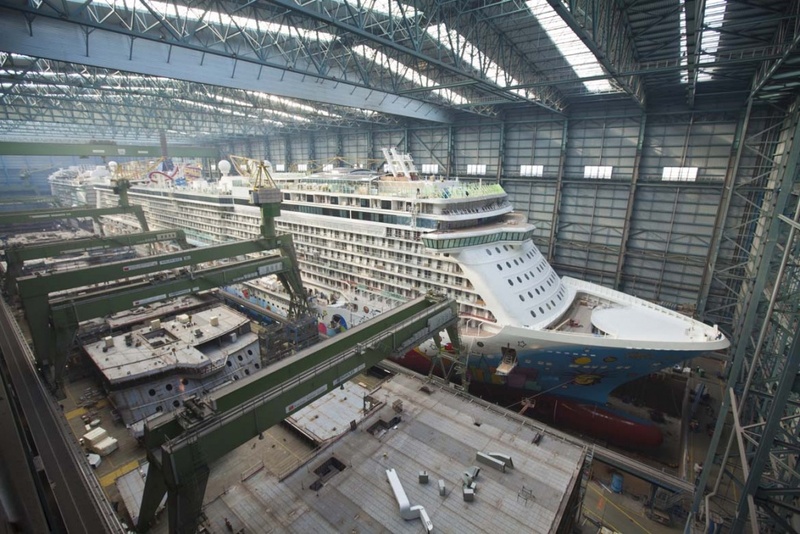 The Meyer Werft shipyard in Papenburg, Germany is one of the biggest and best builders of modern cruise ships. The 214 year-old shipyard is a true survivor and an example of German ingenuity and determination. Located 30km from the sea, beside the meandering Ems River, the Meyer shipyard juts obtrusively above flat countryside comprised of farmland dotted with dairy cows. The yard has endured world wars, falling demand, hyperinflation, green lobby pressure and the logistical complications unique to its location. 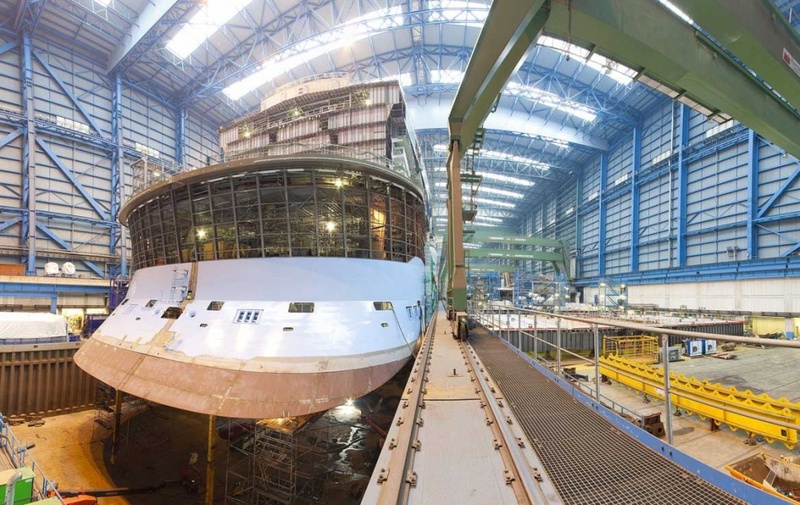 The Meyer shipyard, a 6th generation family run business, is presently in the process of creating the latest Quantum-class ships for Royal Caribbean International. 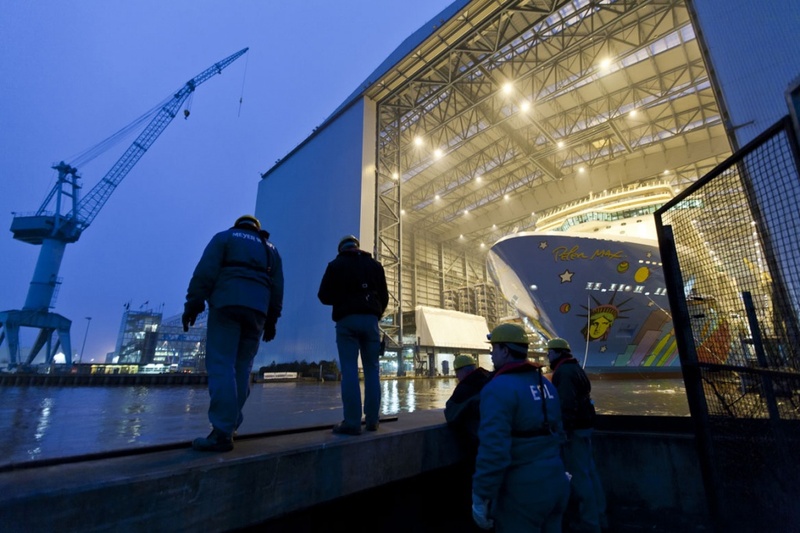 The construction of massive modern cruise ships is in some ways comparable to an automobile manufacturing factory, with much of the work repeated in a production line procedure. 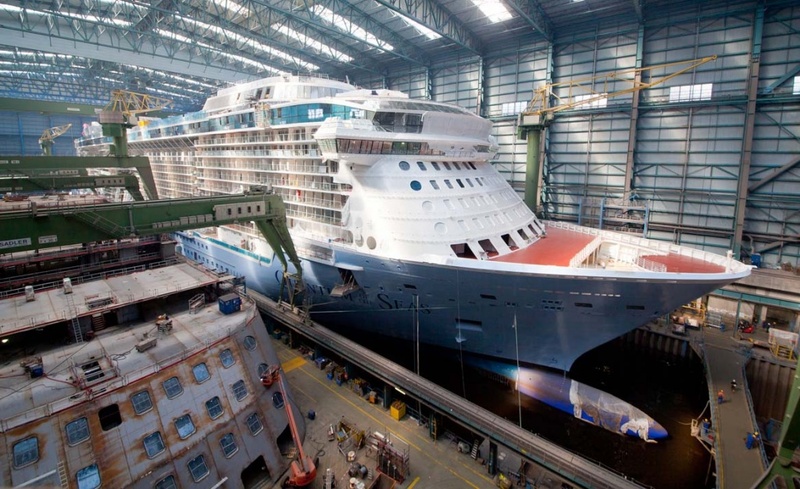 For example, entire cruise ship cabins are prefabricated in the workshop before being fitted on the ship like giant Lego pieces. In fact, much of the ship, including steel hull plates are constructed in a modular approach. Modular methods are used out of necessity as well as convenience – the 30mm thick hull steel sections are incredibly heavy, some weighing almost 180 tonnes. The largest robotic laser cutters in Europe are used to cut through the steel sections which are then welded together. Eight steel sections are completed within hours, before being shifted assembly plant style to a neighbouring building where they are joined. The superstructure of the cruise ship is comprised of 70 or 80 of these joined sections which weigh up to 800 tonnes each. Precision engineering and cutting is essential as these massive pieces of steel are fitted with only a millimetre between them for welding together. The prefabricated cabins can then slide exactingly into place. 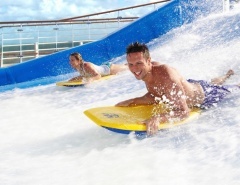 Every facet of a cruise ship is built to precise standards. 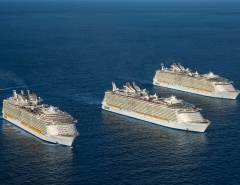 When designing Quantum of the Seas 1000 bow shapes were considered before the final decision made – resulting in a one percent better fuel economy. Energy efficient LED lights have been introduced to save power, and anything produced on the ship, including garbage and sewage, will be recycled, incinerated or reused. Environmentally conscious shipping lines have arrangements with green energy providers at some ports for use of waste materials in power generation. The prefab approach is nothing new, but enormity of scale makes building mega-ships a massive undertaking. Years of planning and design are carried out even before construction begins, and the movement from factory to dry-dock and launch is another exacting step, especially when the mega-ship has to negotiate the winding Ems River. High tides, phases of the moon, and even wind has to be taken into consideration. 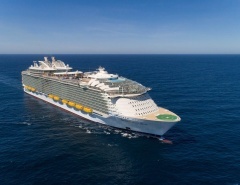 Ships the size of Quantum of the Seas, costing around $1.5 billion to build, have only a one metre clearance above the river bed – in ideal conditions. At one point in the journey down the Ems River there was just over half a metre clearance either side of the ship, and payment isn’t guaranteed to Meyer Werft until the ship has safely arrived at the North Sea. Each new launch from the Meyer shipyard brings many thousands of astounded locals out to line the shore of the river and witness the latest and grandest arrival to the cruise industry.